This episode receives additional support from Reynolda House Museum of American Art, where you can find one of the nation's most highly regarded collections of American art on view in a unique domestic setting - the restored 1917 mansion of R. J. and Katharine Reynolds surrounded by beautiful gardens and peaceful walking trails. You can browse Reynolda's art and decorative arts collections and see what's coming next at their website, reynoldahouse.org. The art world is a man’s world- or, at least, it used to be entirely one. 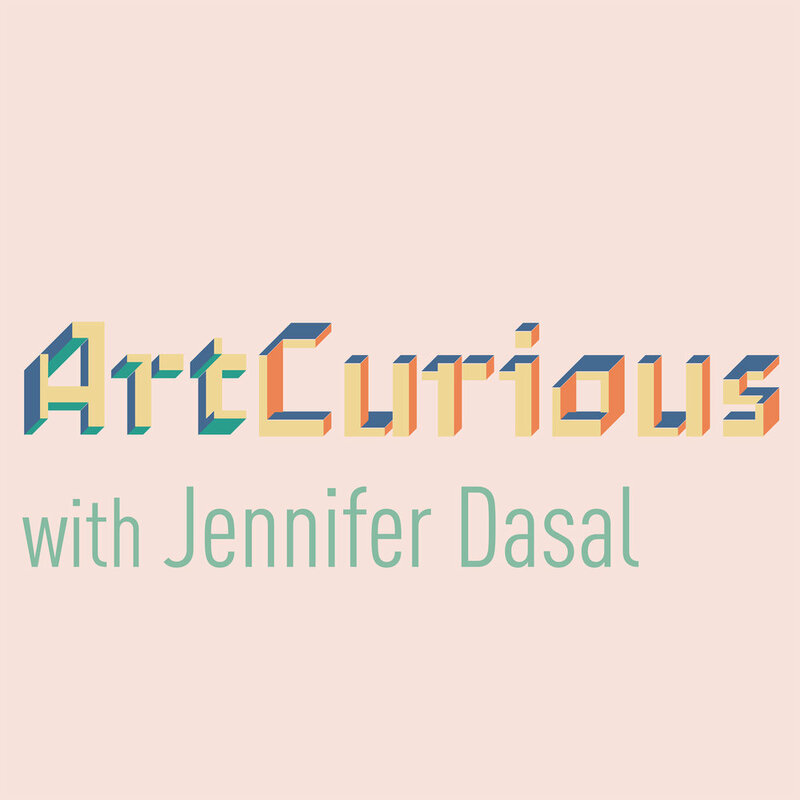 This shouldn’t be surprising to anyone who is a longtime listener of the ArtCurious Podcast, because we’ve touched multiple times on the difficulties that have faced women who have sought careers as artists. Now, thankfully, in the age of #metoo, the male-heaviness of the art world is changing a bit, as it is in other facets of society. But turning back the clock to any other era in history, and the reality is that it was totally a man’s game. And the absolute manliness of it all was compounded intensely in one particular time and place: post-war America, where it was all about brusque machismo, the biggest innovations, and the biggest splash. It was a measuring contest like none other, and two larger-than-life characters were at the center of it all. Production and Editing by Kaboonki. Theme music by Alex Davis. Social media assistance by Emily Crockett. Additional research and writing for this episode by Stephanie Pryor. The New York Times: "Ruth Kligman, Muse and Artist, Dies at 80"
Willem de Kooning and his wife, Elaine, photograph by Hans Namuth, 1952. Jackson Pollock and his wife, Lee Krasner, photograph by Hans Namuth, 1950. Jackson Pollock painting on panes of glass, Hans Namuth documentary stills, 1950.